Join us this Sunday March 31st @ 8pm EST in the Conference Room channel in Discord for our first quarterly meeting of the year! In this meeting we'll be sharing information on an exciting Spring Event we've been itching to announce! As well as information regarding changes to our website, and news and information from our Game Hosts within the community! Can I just say this Spring Event is going to make a lot of people happy? Make sure you have a copy of Minecraft, more details at the meeting!! We've smashed through our goal in donations for our raffle! As of writing this we're at a total of $145.00 and part of this will go towards raffling off copies of Minecraft to support out Spring Event. 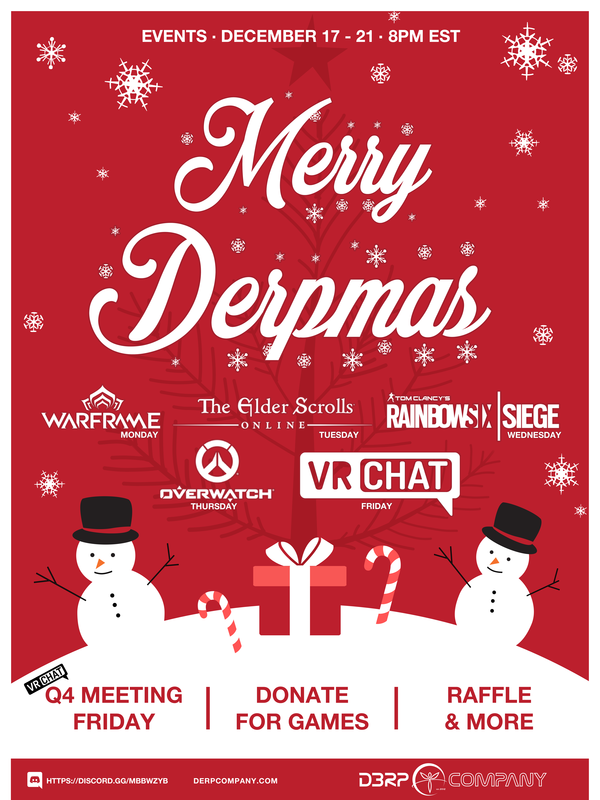 In addition we'll be raffling off 5 copies of ESO to support growth and interest in one of our newest hosted games.